VEF (Valsts Elektrotehniskā Fabrika or State Electro-Technical Factory, often spelled Valsts Elektrotechniskā Fabrika) was a large industrial manufacturer founded in Latvia in 1919. Kārlis Irbītis was an engineer at VEF during the 1930s and 1940s. Irbītis had designed aircraft since the 1920s and continued the practice in his spare time while employed at VEF. In 1935, Irbītis suggested that VEF should enter the aircraft manufacturing business, and VEF management was responsive. The VEF I-12 was a light sport plane and a follow-on to the I-11 aircraft. Powered by a 90 hp (67 kW), air-cooled, four-cylinder Cirrus Minor engine, the I-12 had a top speed of 143 mph (230 km/h). VEF solicited a manufacturing contract from the Latvian government, but the request was denied. Frustrated, VEF decided to build Irbītis’ latest aircraft design, the I-11, as a private venture. The I-11 was the first in a series of fixed-gear, low-wing aircraft designed by Irbītis and built by VEF. The I-11 was a two-seat sport plane that first flew in late June 1936. Some aspects of the I-11 design were less than ideal, as aircraft components had to be made to fit out the workshop’s small door. After the I-11’s successful flight tests, an improved model was designed and designated I-12. The I-12 was seen as a stepping stone to the design and construction of future military aircraft. VEF approved of Irbītis’ plan to build a military trainer after the I-12, and a light fighter would follow after construction of the trainer. The I-12 was first flown on 26 June 1937 and demonstrated good performance and handling. Ultimately, around 12 I-12 aircraft were built. Construction of the I-14 military trainer started in April 1937, and the aircraft made its first flight on 19 November 1937. The I-14 prototype was damaged beyond repair during an emergency landing on 23 April 1938. Undeterred, VEF authorized the design and construction of two new aircraft types: the I-15 trainer and the I-16 fighter. The VEF I-14 was developed as a military trainer and was powered by a 200 hp (149 kW), air-cooled, six-cylinder Menasco B6S Buccaneer engine. The I-14 had an estimated top speed of 186 mph (300 km/h), but a crash prevented the completion of flight tests. Irbītis continued to improve his aircraft designs. The I-15 and I-16 shared a very similar layout and employed the same construction techniques. 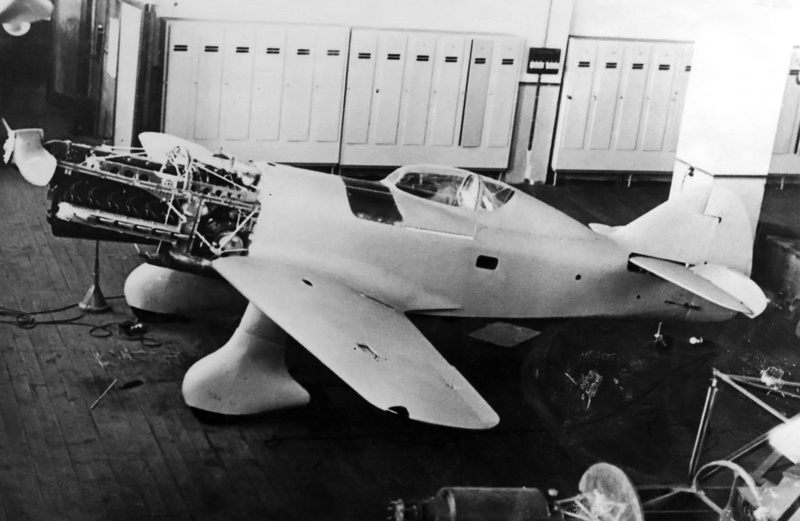 Manufacture of the I-15 started in the summer of 1938, and two aircraft were built. The I-15a had a wooden, fixed-pitch propeller and gun camera, but it had no armament. The I-15a was powered by an air-cooled, 200 hp (149 kW) de Havilland Gipsy Six series I engine. The I-15b was powered by a 210 hp (157 kW) Gipsy Six series II engine and used a metal, constant-speed propeller. The I-15b could accommodate a single 7.7 mm machine gun, and its cockpit was moved forward slightly to improve pilot visibility. The I-15a first flew in April 1939. The first flight of the I-15b was delayed because of the late delivery of its constant-speed propeller but finally occurred around November 1939. The Latvian Aviation Regiment decided to purchase the I-15a and I-15b aircraft based on the favorable experience with four I-12 aircraft given to the Aizsargu Aviācija (Aviation Guard) by VEF in late 1938. The I-15a had a top speed of 186 mph (300 km/h), and the I-15b had a top speed of 205 mph (330 km/h). Both I-15 aircraft had successfully completed flight testing by the time Latvia was invaded by Soviet forces in June 1940; the invasion stopped further development. The VEF I-15a on skis to enable flight testing during the Latvian winter. The I-15A carried the Latvian military serial number 190, while the I-15b carried 191. Design work on the VEF I-16 light fighter began in late 1938. The aircraft was a single-seat, low-wing monoplane with fixed undercarriage. The landing gear was covered in streamlined fairings, and a retractable gear design was to be incorporated on a later model. The I-16 was comprised of a wooden structure covered in plywood and had fabric-covered control surfaces. Each wing accommodated a 10.6 gallon (40 L) fuel tank, and a single fuel tank in the fuselage held 58.1 gallons (220 L). The I-16 had two 7.7 mm machine guns mounted in the upper cowling in front of the cockpit. Provisions were made for an additional 7.7 mm machine gun to be mounted under each wing. The I-16 was powered by a Sagitta I-SR engine built by Walter in Czechoslovakia. The Sagitta was an air-cooled, inverted V-12 engine that had a 4.65 in (118 mm) bore and a 5.51 in (140 mm) stroke. The supercharged engine displaced 1,121 cu in (18.4 L) and produced 520 hp (388 kW) at 12,467 ft (3,800 m). Air was fed into the supercharger via two scoops on the upper cowling. Engine exhaust was discharged through ejector stacks positioned at the bottom of the cowling. The shroud around the exhaust stacks also allowed cooling air to exit the cowling after passing through the cylinders’ fins. Additional cooling air exited via a vertical slit at the rear of the cowling. The engine turned a two-blade, wooden, fixed-pitch propeller, but a three-blade, metal, constant-speed propeller was planned for future use. 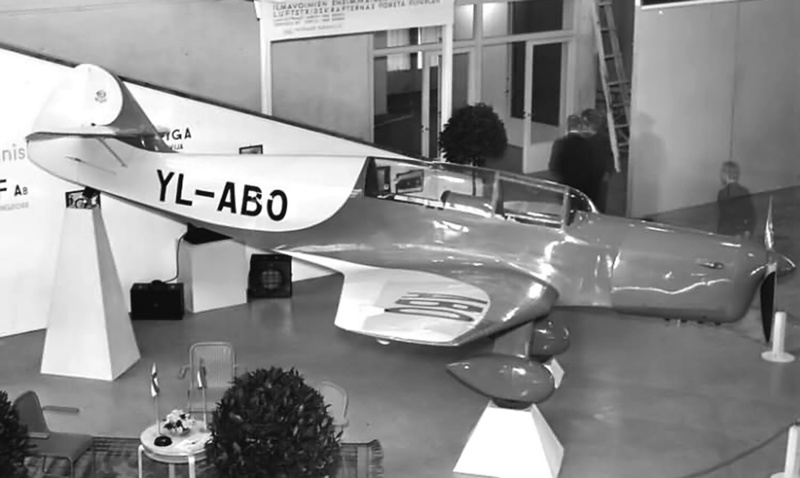 The VEF I-16 was a continuation of Kārlis Irbītis’ light, sleek monoplane design. The aircraft was the only monoplane fighter designed and built in Latvia. The wooden, fixed-pitch propeller was considered temporary. The cockpit canopy hinged open toward the right. The I-16’s wingspan was 26 ft 11 in (8.2 m); its length was 23 ft 11 in (7.3 m); and its height was 8 ft 10 in (2.7 m). With the three-blade propeller, the aircraft had an estimated maximum speed of 286 mph (460 km/h) at 13,123 ft (4,000 m) and 249 mph (400 km/h) at sea level. The I-16 had an initial rate of climb of 2,187 fpm (11.1 m/s), and its ceiling was 26,247 ft (8,000 m). The aircraft had an empty weight of 2,425 lb (1,100 kg) and a loaded weight of 3,417 lb (1,550 kg). The I-16’s range was around 497 miles (800 km). Construction on the I-16 continued through 1939, and the aircraft made its first flight in the spring of 1940 at Riga, Latvia. The pilot for the first flight was Konstantīns Reichmanis, and the I-16’s engine quit after about 20 minutes of flight time. Reichmanis managed to get the aircraft back on the ground without any damage. Poor fuel distribution was thought to have caused the engine trouble, as similar issues had been encountered during ground runs. Reichmanis praised the aircraft’s handling during his short flight. Changes were made to the I-16’s fuel system, and a few more flights were accomplished before testing was halted by the Soviet invasion. 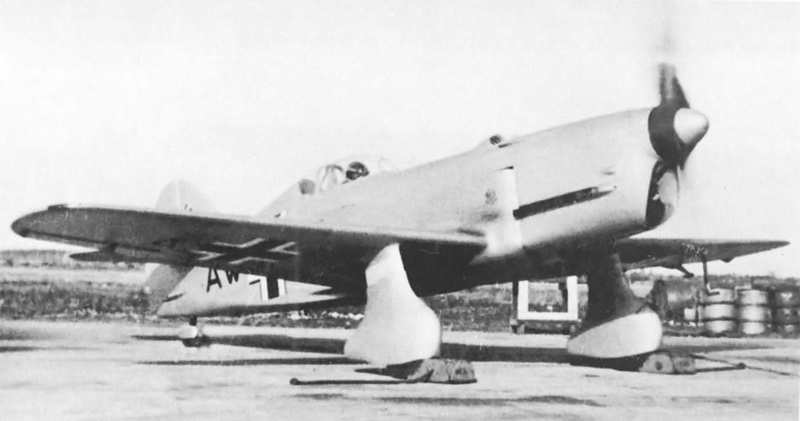 The completed I-16 with German markings during an engine runup in 1941. The two intake scoops for the engine are visible on the top of the cowling, with the left gun port immediately below. Armament was never installed in the aircraft, but VEF did have possession of the Browning machine guns until they were removed by Soviet occupying forces. The Soviets expressed some interest in the VEF aircraft, and the I-15a, I-15b, and other aircraft were shipped to the Soviet Union in March 1941. The I-16 remained in Latvia to resolve the fuel distribution issues. Before the I-16 could be sent to Russia, the Germans attacked the Soviets and took over Latvia in June 1941. Irbītis escaped deportation, but many of his colleagues, including Reichmanis, were not so fortunate and disappeared into the work camps in Siberia. 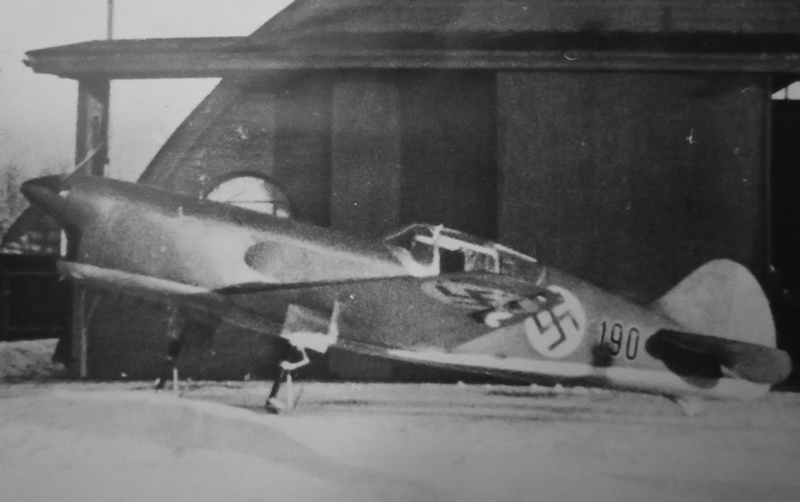 Under German occupation, the I-16 was returned to an airworthy status and carried the identification code AW+10. The aircraft made two test flights before it was taken over by the Luftwaffe. Some accounts list the aircraft as being part of a training school in Toruń (in occupied Poland) until 1942, but its final disposition is not known. In late 1939, Irbītis began designing a new fighter, the I-19. With a wingspan of 36 ft 1 in (11 m) and a length of 29 ft 6 in (9 m), the I-19 was larger than the I-16. The I-19 also featured retractable gear, two machine guns in each wing, and a top speed of 404 mph (650 km/h). Irbītis persisted with the wooden construction, but the lack of a suitable power plant led him to consider building his own engine comprised of three V-12 engine sections, with each engine section based on a Ranger V-770. The cylinder banks of each engine section were spaced at 120 degrees. The resulting 36-cylinder engine employed three crankshafts and three superchargers. Irbītis estimated that the engine would displace around 2,200 cu in (36 L) and produce 1,450 hp (1,081 kW) at 3,250 rpm. However, Irbītis switched to an Allison V-1710 engine when more serious design work was undertaken. The I-19 never proceeded beyond the preliminary design phase. After World War II, Irbītis immigrated to Canada and helped develop the tiltwing Canadair CL-84 Dynavert. The sleek I-16 aircraft resembled similar light fighters developed in France (Caudron) and Italy (Ambrosini) during the same period. Note the streamlined fairings covering the gear. This entry was posted in Aircraft, World War II on 5 April 2018 by William Pearce.